An urgent special report from Sean Brodrick, based on 100 years of combined experience and research on historic cycles, which made it possible to accurately call every major move in the economy, stocks, gold and commodities since 1987. This is your moment of truth. What you do in the next few minutes, hours and days could determine your financial destiny for the rest of your life. In October 2015 ... for the first time since 1929 ... five massively powerful financial cycles united, forming a "Supercycle" with enormous destructive power. The last time these cycles converged — nearly nine decades ago — the world was plunged into a Great Depression that lasted more than a decade. The age we have all known all our lives — an era in which governments amassed $275 trillion in debts and obligations — is ending. And a new era — the age in which all of us pay the price for our leaders' reckless spending schemes and the obscene debts — is beginning. We are in for five years of chaos in the economy, the markets and in our business and personal lives. As this Supercycle courses through the world economy in the months ahead, the investors our governments count on for loans will snap their wallets shut. Even now, investors are reading the handwriting on the wall: Government debt is simply too massive. It can never be repaid. It would be financial suicide for them to continue loaning their money to Brussels, Tokyo or Washington; insane to throw good money after bad. And so, governments — including our own — will simply run out of money. More than 39 million government employees and contractors in Europe, Japan and the U.S. will find that their paychecks have been postponed or cancelled altogether. 328 million more worldwide who depend on government retirement plans like Social Security and government health schemes like Medicare and Obamacare will awake to the same disturbing reality. And another 127 million around the world who count on welfare, food stamps and other government-sponsored assistance programs will suddenly find themselves unable to feed themselves or their families. As the news reverberates, currencies, bonds and finally stocks, will simply collapse. The wealth and retirement savings of generations will be vaporized in the twinkling of an eye. Millions of angry citizens will take to the streets, overwhelming local, state and even national law enforcement. Law and order will break down as thousands of riots erupt around the world. No man’s life or property will be safe. Some governments, equally desperate to survive, will have no choice but to wage war on their own citizens. Revenue agents will seize passports, private savings, homes and other property on the flimsiest of excuses. Battle tanks, armored personnel carriers and heavily armed soldiers will patrol the streets. Our world, our nation and our lives will be changed forever. Admittedly; this is the most severe warning I have ever issued. And it also happened in 2007 when we told anyone who’d listen that the U.S. real estate market was about to collapse, plunging the economy into one of the most severe recessions ever. But please understand; this is no idle prediction. I have no interest in frightening anyone. I am simply following our research where it takes me. 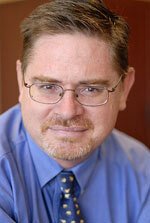 Get Sean's "buy" and "sell" signals for your supercycle investments! And it is taking me to a terrifying place: Those who are unprepared for this great crisis risk losing everything: Your income, savings, investments, your home and other property, your personal and financial security are all at risk. This message is so urgent ... so important ... I insisted on delivering it in person to Dr. Weiss ... to Weiss Rating’s analysts ... and most importantly, to you. It is also why I created this urgent report — and why I’m inviting millions of people in the U.S. and around the globe to access it free of charge. The plain truth is, the most powerful forecasting tools we have ever used are virtually screaming that all hell is about to break loose in Europe, Japan, and ultimately right here, in the United States. Are now warning that the most severe financial crisis any of us has ever seen has begun. It may help you to understand why I trust this research so completely; why I am changing everything in my own financial life to prepare for the events it predicts. 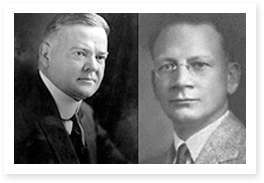 President Hoover's chief economic advisor, Edward R. Dewey discovered the power of these cycles in 1932. The forecasting tools I use ... that have enabled us to accurately predict all the major events I just mentioned ... and that are now warning of the most severe financial crisis any of us has ever seen ... are not new. They were actually discovered by an American economist 86 years ago. The year was 1932. 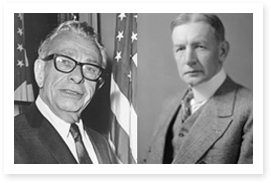 That’s when U.S. President Herbert Hoover ordered his chief economist, Edward R. Dewey, to determine what caused the Great Depression. What Dewey found was shocking: Very powerful economic cycles govern the rise and fall of economies, currencies and investment markets. It made perfect sense: After all — all of creation moves in cycles; from the lifecycle of stars, to the ebb and flow of the tides, to the changing of the seasons, to human respiration and even to our beating hearts. 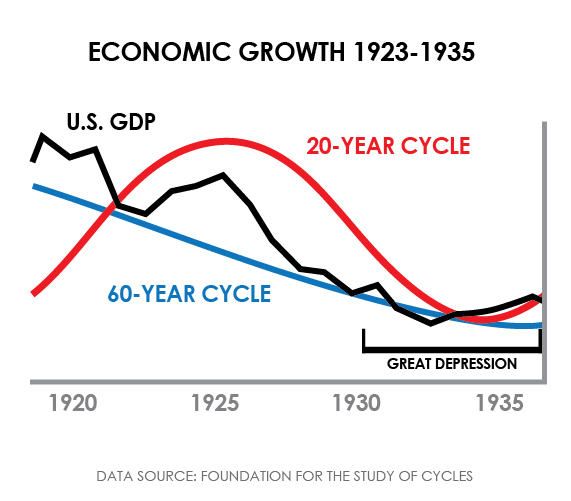 Cycles research predicted The Great Depression years in advance! Just as cycles govern the physical universe and our physical bodies, they also govern the affairs of men: The rise and fall of empires, nations, societies, economies, currencies and investment markets. All of these things and many more are ruled by very regular, very PREDICTABLE financial cycles. Dewey’s ultimate conclusion was a shocker: Anyone who even casually glanced at charts depicting these cycles could have known about the approaching nightmare well in advance. The Great Depression happened because it was TIME for it to happen. 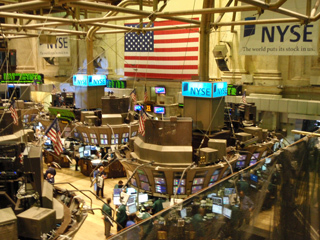 Cycles research has accurately predicted every major financial event in our lives. 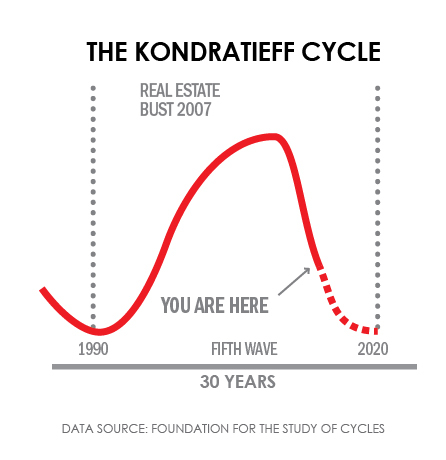 Since Dewey’s discovery, these cycles have been used to predict every major turning point in the economy — including the painful real estate crash, credit crisis and Great Recession of 2007-2008 and also the catastrophe in Greece. Knowledge of cycles is what allowed our experts to predict the Great Recession of 2008-2009 AND the beginning of the recovery well in advance! Believe me; I know: They accurately warned of the 1987 stock market crash several months in advance and every major move in U.S. stocks since then. The chart above is an example of our work. 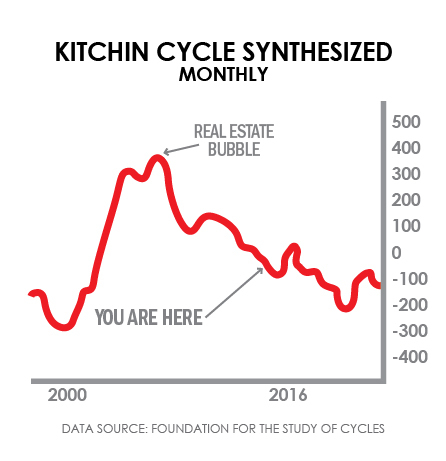 It is the product of cycles research we did in 2006 and 2007 — work we did well before the U.S. real estate market cracked. 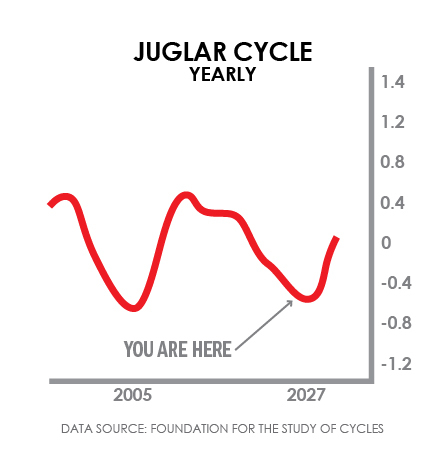 The red line is the cycle we followed — the cycle that caused us to predict a major catastrophe ahead. RESULT: The Great Recession of 2008-2009 struck right on time, just as we predicted and the S&P 500 crashed nearly 60%. Anyone who bought the 3x inverse ETF of the S&P 500 on that forecast could have seen nearly a 180% gain. And that’s only the beginning of the story. 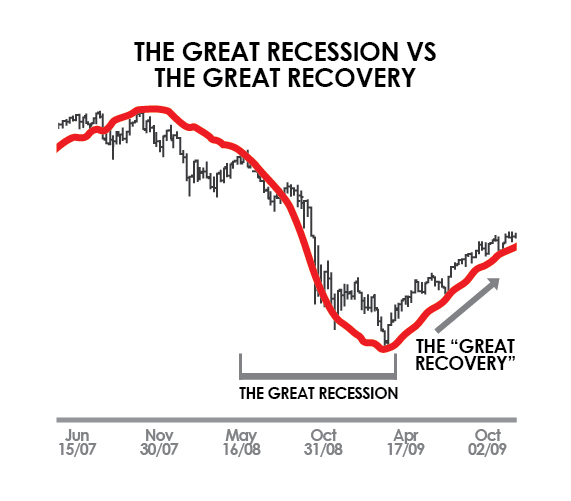 The chart above also showed quite clearly that the bottom would come in March of 2009. After that, the economy and the stock market would enter a powerful recovery. So on March 16 of 2009 — while other analysts were still licking their wounds and terrified to even touch a stock — we announced that the worst was over; that stocks were about to catch fire again. 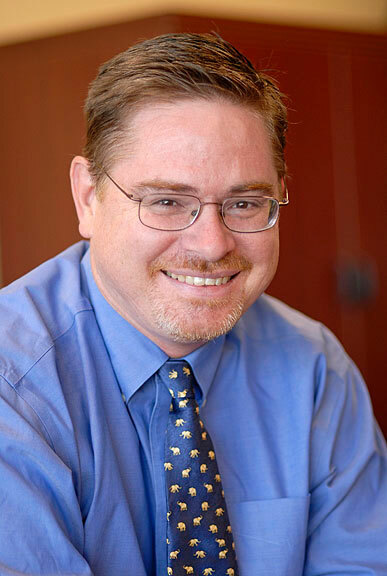 Many of the best minds from Harvard, Yale, Princeton, The Smithsonian, The Carnegie Institution, Oxford, Temple University, Western Reserve and other globally respected institutions have supported Dewey's work at his Foundation for the Study of Cycles. And if you had used this forecast to invest in the 3x S&P 500 ETF, you could be up 720% — enough to turn every $10,000 you invested into nearly $82,000. And even the historic plunge in oil and grain prices that began in 2014. Then, in 2015 we predicted the world would enter a new era of financial and political turmoil. We warned that the end of the European Union was in sight. Since then, millions of migrants have flowed into Europe, pushing social services to the breaking point and beyond. Worse, they are forcing those governments to spend billions of dollars that they don't have. Pushing them deeper and deeper into debt. Great Britain shocked the world by voting to leave the European Union, while powerful new separatist movements in Greece, Spain, Germany and France are pushing the Union even closer to the brink of oblivion. 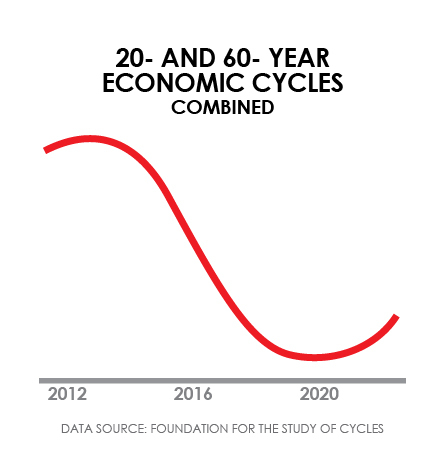 Now, our cycles research is sending a very different message — a message that no wage-earner, retiree or investor can afford to ignore. Every day, the news coming out of Europe CONFIRMS what the cycles are telling us: This great crisis has already begun! Despite repeated bailouts, 22 of the 28 EU member states — including the largest states; Spain, France, and Italy — are deeper in debt now than ever before. 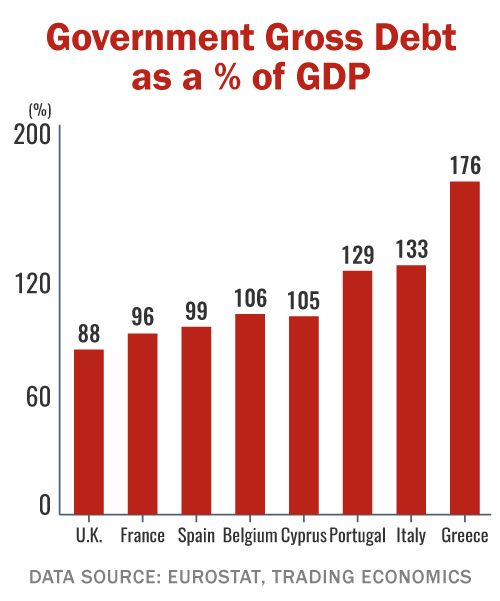 Portugal owes 30% more than its economy produces. Italy owes 32% more. 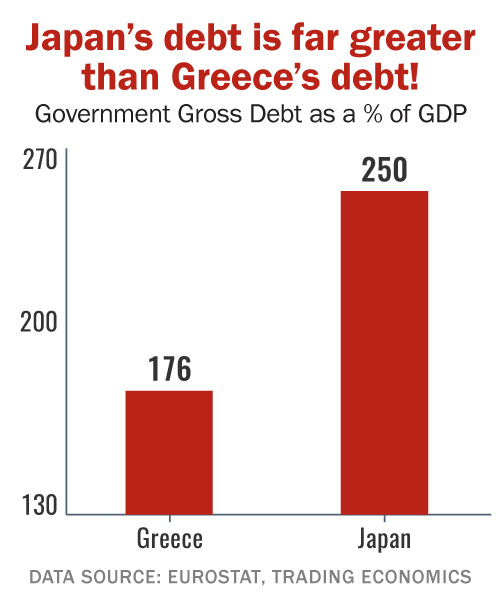 The Greek government, still in the worst shape even after six huge bailouts, owes 79% more than its economy produces. In Cyprus the government literally robbed its own banks. Depositors with more than 100,000 euros watched helplessly as the government seized up to 40% of their money. Meanwhile, France's economy remains stagnant, and President Macron's attempts to revive it are already running into stiff political resistance. The clincher is that the euro has resumed its long-term plunge against the dollar – a sign that investors see the handwriting on the wall and they're jumping ship. The European Union is headed for a crisis. It could even disintegrate. The facts on the ground in Japan are even more disturbing. Tokyo is 1,000,000,000,000,000 yen in debt. And it means that even if Japan had a yearly budget surplus of one trillion yen, it would still take 1,000 years for the country to pay off its debt. Tokyo’s debt is nearly two and one-half times the size of the entire Japanese economy and more than DOUBLE the debt load that recently pushed Greece, Ireland and Portugal to the brink of collapse. Japan’s debt is still skyrocketing. Social welfare spending in Japan, already one third of the 106-trillion-yen budget, is rising automatically by about one trillion yen every year. Japanese citizens are also hoarding cash because they fear Tokyo will have to cut their retirement checks and other government benefits. They’re saving as much as they possibly can for the rainy days they believe are coming. This is an extremely dangerous situation. It is threatening to slash government revenues, even as the nation’s debt and the cost of servicing that debt continues to skyrocket. If Europe — Japan’s #2 trading partner — collapses, it will be the straw that breaks Japan’s back. Japan’s economy will finally come apart at the seams. Exports — the lifeblood of the Japanese economy — will plunge. The economy will crater. Tax revenues will evaporate. Tokyo will have no choice but to default on its massive 1 quadrillion yen debt. For Europe and Japan, there is no way out. Readers often ask me why it’s inevitable that these governments will default. Bond investors are already beginning to snap their wallets shut! No! They are already borrowing every euro and yen that investors will loan them! And now, those investors are beginning to close the spigot. 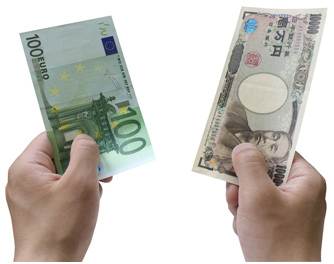 European and Japanese government bonds are beginning to decline; interest rates are beginning to rise. Their debts are so massive, so utterly unpayable that the investors who have been buying their bonds are already beginning to revolt. In June, for instance, Spanish, Italian and Portuguese bonds cratered while U.S. treasuries, corporate bonds and stocks surged. They realize that not only will the debt never be repaid; these governments may fail to pay the interest due on the debt they already have. As they slow or stop government bond purchases, bond prices drop. Interest rates rise, making it even harder for governments to pay interest on the money they owe. Making default even more likely. It’s a deadly spiral; one in which the first investors to bail out win. The last investors to dump their government bonds lose. And so the stampede begins. Europe and Japan have already printed mountains of money — and they’re in worse shape now than ever! Creating money out of thin air is no solution. 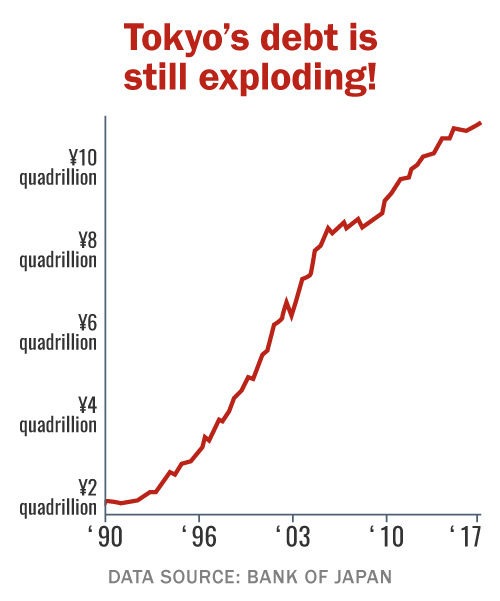 Europe is printing money like there’s no tomorrow, but debt is piling up faster than ever and the economy is coming unglued. The Bank of Japan printed 10.3 trillion yen in January of 2013, but the economy just kept getting worse. So in December of 2014, Tokyo announced it would print an additional 3.5 trillion yen. And on top of this, the government has spent billions on stimulus programs, including $275 just last year. But despite everything, the nation continues to struggle, growing a measly half percent in 2016. The U.S. is the world’s safest safe haven ... for now. Despite our own debt problems, America is still more stable than Europe or Japan. The first bit of good news is that there’s still time — not much time, mind you, but some time — to prepare. The second piece of good news is that the troubles in Europe and in Japan already have wealthy investors and institutions there seeking safe havens. And for now, at least, the world’s safest safe haven is the United States of America. 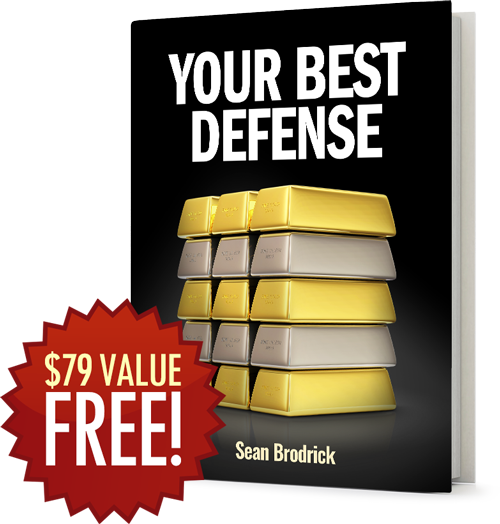 The best defense is a powerful offense — with Sean Brodrick's Wealth Supercycle! And are buying trillions of U.S. dollars, driving the greenback ever-higher. And they’re using those dollars to buy assets here: Stocks. Real estate. Bonds. Even collectibles. But if history — if our cycles research — proves anything, it’s that this trickle of flight capital coming out of Europe and Japan is about to become a massive flood. It’s crucial that everyone who owns stocks ... everyone with a retirement account ... understands this. Because at a time like this — with the world burning down around you — growing rich is your ONLY real defense. Throughout this crisis flight capital from panicking investors in Europe, Japan and the U.S. drive tangible assets — particularly gold, silver and energy investments — through the roof. The same fate suffered by Europe and Japan ultimately awaits us as well. Donald Trump is doing a good job of boosting the U.S. economy right now. And the flow of capital from overseas is also helping. But no one can make America's huge debt problem disappear. And the plain truth is that Washington D.C.’s debts are far larger than most people realize. Washington's debts DWARF those of both Europe and Japan. 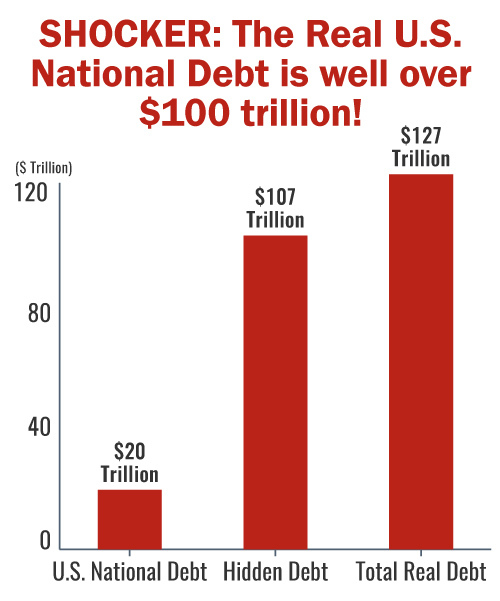 In addition to that debt, according to the latest statistics from the U.S. Department of the Treasury, our government owes another $97 trillion that it never wants to talk about. That’s more than 6 times the size of the entire U.S. economy. A line of 120 trillion dollar bills would reach around the Earth at the equator more than 494,000 times. It would reach all the way to the sun and back more than 60 times. "Our government, our economy and our society are living on borrowed time. It will all come crashing down.". What most economists know but won’t say is that Washington won’t be able to even service that much debt for much longer; any significant decline in the economy could ultimately push Washington into default. When that happens, the U.S. government’s Treasury bills, bonds and notes won’t be worth the paper they’re printed on. Government payments to individuals — and to the companies it does business with — will simply stop. 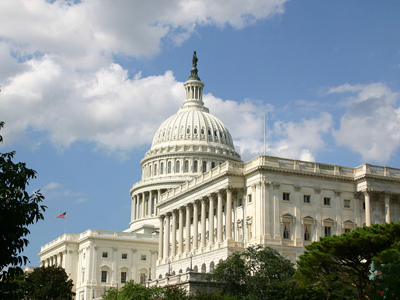 2.7 million government workers risk losing their paychecks. 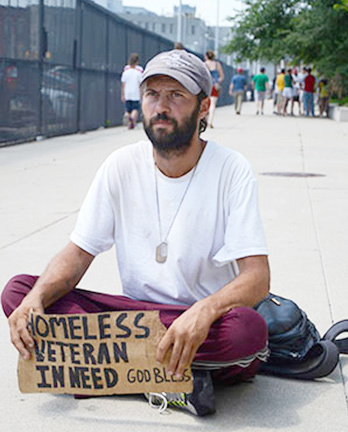 Millions who thought they could count on Washington to care for them will suddenly find themselves destitute ... hungry ... abandoned ... and helpless. 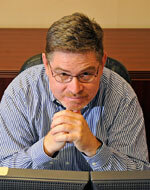 Those who rely on Washington for income will be left helpless and alone. Outraged at this callous breach of faith, armies of angry citizens will take to the streets in violent protests, just as they already have across Europe. Millions more will spend their days desperately hunting for food and safe shelter. Civil society will implode. Law and order will break down. Anarchy will rule. Americans who have known only safety and comfort in their lives will find themselves having to fight every day just to survive. And the government — equally desperate to survive — will declare war on its own citizens. Privacy will be a thing of the past. Washington’s spies will be everywhere. Revenue agents will seize citizens’ savings, homes and other private property at the slightest provocation. Battle tanks, armored personnel carriers and heavily armed soldiers will patrol the streets. The great global government debt collapse that has already begun in Europe ... that will quickly spread to Japan ... will inevitably strike America as well. And those who do prepare will also have the opportunity to make a lot of money — with the handful of crisis investments that explode in value at times like this. I’ve already begun preparations to protect my own wealth and to profit. There are two pieces of positive news in all of this. The first is that you still have some time to prepare. The second is that getting through this in safety — with your wealth secure and growing — will not be difficult IF you make the right moves now. The first step is EDUCATION. Study this crisis so you’ll know exactly what to expect. There are many nuances to this situation and those nuances can have a major impact on you. I’m lucky in this regard. I’ve been able to spend most of my career — more than 20 years — studying economic cycles and the events they have driven throughout history. And today, I spend most of my time focusing on the developments in Europe, Japan and the United States that are causing this crisis to intensify. In my brand-new report — The Final Reckoning — I give you the details on the three powerful financial cycles that are now pointing to a massive global debt collapse. I give you the actual timeline for all four phases of this crisis — the additional dates when you can expect Japan’s collapse to hit full force and when I expect the crisis to hit home in the United States. You will, in fact, have the opportunity to create not just one, but THREE great fortunes as this crisis unfolds. And the one time you should go to cash, take all your money off the table and stand pat. In Chapter One I cover the first phase in detail: The investments that are destined to lead the pack beginning immediately. We first began alerting investors to the massive influx of "Fear Money" in 2015. And since that time, flight capital has already driven many U.S. stocks through the roof. If you had owned the right stocks since we issued that warning, you could have seen spectacular, life-changing gains from that capital flight. And starting now, that trickle will become a flood, and the gains we’ve already seen will pale in comparison. If you own the stocks foreign investors want, you can rake in a fortune. We will identify the stocks foreign investors will be chasing BEFORE they do. These are the investments I’m using to make the most of the tremendous opportunities I see right now for U.S. investors. A unique investment to capitalize on the strength in the U.S. dollar versus other currencies as more and more “flight capital” prepares to leave Europe. Select blue-chip-like but beaten down U.S. stocks that will also soon start soaring, again, on the backbone of flight capital from the euro zone. 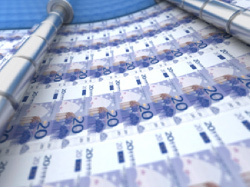 An easy-to-buy investment that will allow you to profit as the euro currency prepares for another leg down. An equally simple investment, which can be bought on the cheap now, to prepare for a European stock market crash. And yet another to profit from a European bank bust! And who can ignore gold in a major crisis? I’ll show you the best way to stake out a leveraged position in gold, a position that could multiply your profits many times over as tens of thousands of savvy investors begin to realize the final reckoning for Europe, Japan and Washington looms large. Click here to discover the investments that are already soaring due to this crisis. In Chapter Two I cover the second phase of this great crisis and give you three types of investments that are designed to generate windfall profits as Europe is rocked to its foundations. Three ways to leverage your gold and silver profit potential as they inevitably bottom and then begin to soar as sovereign defaults loom large. Take gold and silver for example: When the crisis strikes, investors around the world will pour massive amounts of money into precious metals. But few investors realize another group of stocks will also skyrocket as precious metals rise. These stocks are now trading for a fraction of what they will likely be worth. Yet the last time gold and silver prices surged, some of these select stocks generated returns up to 2,957% — enough to turn every $10,000 you invest into more than $300,000! And then there’s the defense sector. Sadly, sovereign debt defaults bring out the worst in government leaders. They point fingers at each other and blame other leaders, causing civil and even international unrest to rise exponentially. You’ll want to own shares in top defense companies and also companies engaged in protecting the digital privacy of investors and citizens worried their country is going down the tubes. The ten biggest famous-name American stocks that will get crushed as Europe collapses. U.S. real estate investment trusts that will get hit hard as European real estate crashes and burns. The European oil and gas companies that nobody should own now, but millions of Americans DO own: Avoid them at all costs! Click here for the investments that are most likely to make you up to 2,957% richer as Europe implodes. And as Japanese stocks implode. And you can do it all without ever going short or buying a single foreign investment! Investments you need to buy IMMEDIATELY to protect yourself as this crisis comes to the U.S.A. The international mining company that has it all: Not just gold and silver, but aluminum, coal, copper, iron ore, lead, zinc, tin, uranium, titanium, diamonds and much more. My #1 must-own tangible asset company! I’ll also introduce you to one of the world’s largest copper and gold miners with reserves including 102 billion pounds of copper, 40 million ounces of gold, 2.48 billion pounds of molybdenum, 266.6 million ounces of silver and 0.7 billion pounds of cobalt. For example, this Fortune 500 company has the distinction of being the ONLY firm that designs, builds and maintains nuclear aircraft carriers for the U.S. Navy. Plus, it’s also the source for both nuclear and non-nuclear ships — and maintenance for those ships — for the U.S. Navy and Coast Guard It’s an easy triple in my opinion — powerful enough to turn every $10,000 you invest into at least $30,000 and probably much more! And I also name the ONE kind of “supposedly safe” investment that is destined to destroy vast amounts of wealth as this great debt crisis comes to America. Please make sure you do NOT own it! I will deliver The Final Reckoning without cost to anyone who applies for a risk-free subscription to my newsletter, Wealth Supercycle. This way, you’ll get off to a fast start with your preparations. Plus, I’ll keep you 100% up to date on this rapidly developing crisis in each issue of Wealth Supercycle. I’ll show you what I’m doing myself and what I would urge you to do as well. And when fast-breaking events warrant I’ll also rush you urgent Flash Alerts via email. Plus, you receive our regular, e-mail updates. 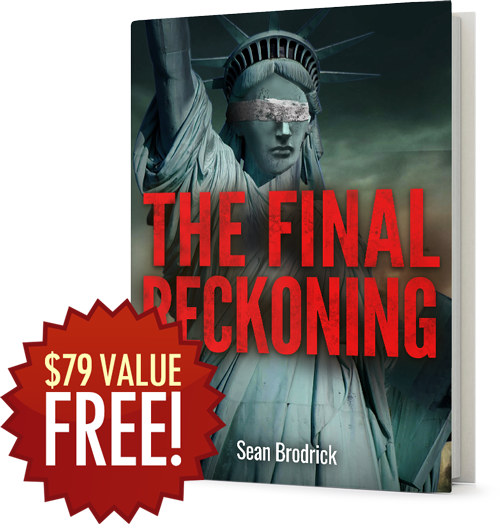 Normally $228 per year, new subscribers can join now for just $29 ... save $199 ... and get The Final Reckoning — a $79 value, free. First, this is the single most dangerous political, economic and social crisis any of us has ever faced. I have a serious, personal commitment to help as many people get through it as possible. Second, the folks who subscribe to Wealth Supercycle tend to stay with it for a long time. I sincerely believe that once you’ve seen my work, once you’ve experienced how powerful and profitable this letter really is, you and I will be together for life. Plus, your subscription to Wealth Supercycle is fully guaranteed. You don't even have to make your final decision now. Just join us and get your free reports. Then, take all the time you like - up to a full year - to make your decision. Even if you decide to cancel on the very last day before your membership expires, we owe you a full refund. Just let us know and we’ll promptly refund every penny you paid. We'll even insist that you keep every issue of Wealth Supercycle and everything else we've sent you in the meantime with our thanks for giving us a fair trial. STEP #2 in surviving this crisis is to make the best of the time we have left to build the portfolio designed to explode in value as Europe and Japan collapse. 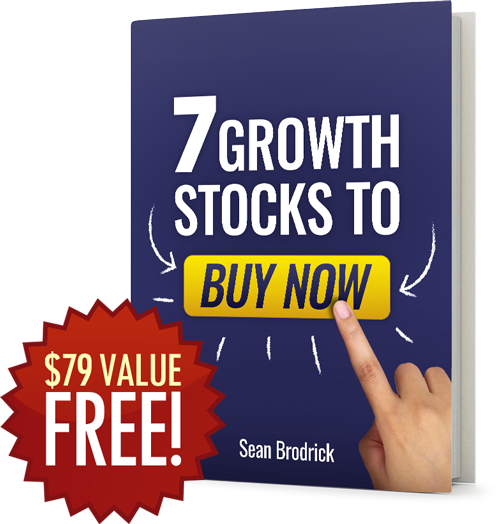 In 7 Growth Stocks to Buy NOW, I name the stocks I’m counting on to post the greatest profits. STEP #3 is to begin building your defensive positions now. I’m talking about gold and silver. As this hits Europe, then Japan and finally the United States, investors all over the world are going to stampede into precious metals as a way to protect their wealth and buying power. In Your Best Defense, I give you my formula for profitable gold and silver investment including how to get them at a discount ... the costliest mistakes precious metals investors make ... the gold and silver investments you should avoid at all costs ... and the names and telephone numbers of the only bullion dealers I personally trust with my own investments. STEP #4 should be a no-brainer: Put some of your money where Washington can’t find it. The most dangerous entity on Earth is a government that’s fighting for its life. Remember: Cyprus stole up to 40% of bank depositors’ money. Don’t think for a minute it couldn’t happen here! 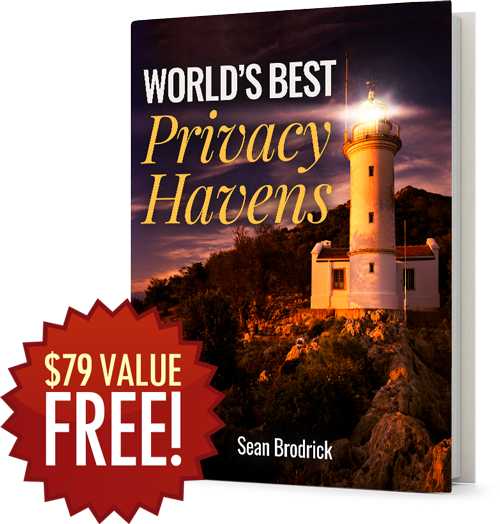 So, in The World’s Best Privacy Havens, I name three places where you can legally hide some of your money from prying eyes. The key word is “LEGALLY.” No recriminations possible. 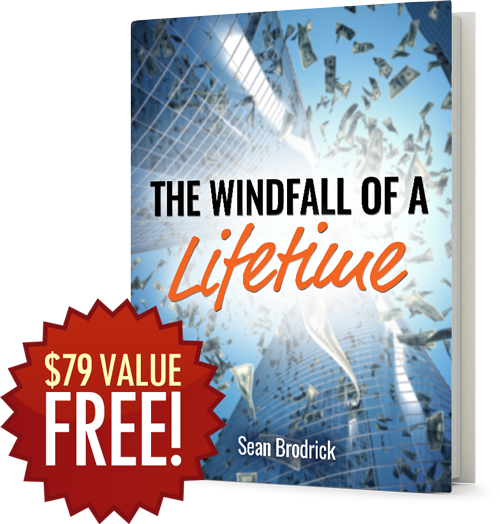 STEP #5 is one of the most important steps of all — and I tell you all about it in The Windfall of a Lifetime. Massive global events like this one just naturally create massive movements in the investment markets. That’s a fact. And frankly, most people will be perfectly happy to double or triple their original investment. And I do it with a special class of high-powered investments that are designed to deliver profits of up to $100 or more for every $1 other investors make. All without ever buying a single one of them. I know it’s hard to believe; but it’s 100% true. And not only that, your risk is strictly limited while your profit potential is not! It’s a free three-month subscription to our flagship service, Weiss Stock Ratings Heat Maps. This groundbreaking stock rating system was ranked #1 in the nation by the Wall Street Journal. Every day, Heat Maps’ high-powered computer program sifts through more than 12,000 stocks to find the strongest, top money-makers. With Heat Maps, you can zero in on today’s best stocks, while keeping landmines out of your portfolio. It’s the perfect complement to your Wealth Supercycle service, especially as this crisis unfolds. And when your Heat Maps subscription is up for renewal, we will notify you in advance and tell you the renewal rates then in effect. I sincerely fear that those who fail to heed this warning could lose everything. You've seen how the most powerful forces in the economic universe are now aligning to create the most severe crisis of our lifetimes. You've seen that the facts on the ground — in Europe ... Japan ... and here in the U.S. are in total agreement with the warning now being sounded by our cycles research. And you've seen that the first phase of this crisis — the collapse of the EU — has already begun to unfold. The conclusion is clear: Our governments have amassed debts so massive, they can never be repaid. And since that debt cannot be repaid, it will not be repaid. Over 943 million people in Europe, Japan and the United States are about to be hit with the cold reality that the promises made to them by politicians are, in the end, utterly worthless. The handwriting is on the wall: There will be hell to pay. It's coming whether we like it or not ... and whether we prepare or not. My prime objective is to make sure you have every chance to save yourself, your family and your money. That's why I wrote this report ... why I'm going out on a limb with these very public warnings ... and why I want to get a free copy of The Final Reckoning into your hands; the sooner, the better. 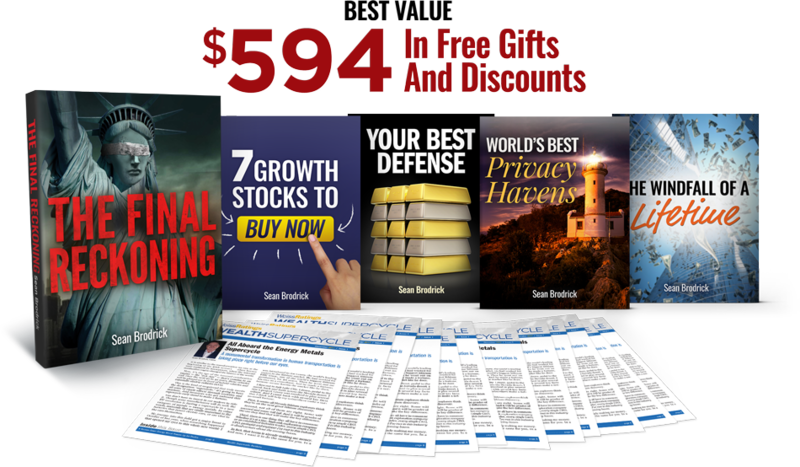 Click here to receive $594 in free gifts and discounts: Join me for 12 months of updates in Wealth Supercycle for just $29. You save $199 off the regular rate. The choice is entirely yours, of course. I sincerely hope you will decide to join me in preparing.